I-send most recently came across several articles which have highlighted changes about to take place in the Apps market due to the growth of the tablet such as the Ipad and others fast in pursuits. Appcelerator, maker of tools for building mobile, desktop and tablet applications, and IDC have announced results of a joint survey showing that the onslaught of tablet systems has caused some developers to refocus their development efforts. Indeed, the joint Appcelerator-IDC survey of more than 2,200 developers around the world, indicated that tablet interest spikes across the board: Android Tablet interest jumped 12 points in three months to 74 of respondents saying they are “very interested” in developing for these devices. Interest in Blackberry Play book nearly doubled from 16 percent to 28 percent. 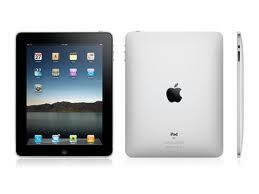 iPad rose three points to 87 percent, while web-OS Tablet interest remained flat at 16 percent, the study showed. With 85 new, primarily Android tablets announced at the Consumer Electronics Show (CES) in early January, developers are pushing these devices to the top of their priority list, Appcelerator officials said. Overall, the survey reveals how new entrants to the tablet market are changing application development priorities and how businesses large and small are accelerating their efforts to build a mobile application strategy to deal with an explosion in apps, mobile devices, operating systems, and capabilities, Appcelerator officials said. Moreover, Scott Schwarzhoff, vice president of marketing at Appcelerator, said, taken January 10-12, the Appcelerator-IDC Q1 2011 Mobile Developer Report shows that Google has nearly caught up to Apple in smart phone popularity and is closing the gap in tablets. Microsoft and RIM made solid gains through their product line update, while interest in Google TV and Apple TV dropped off. And as these trends unfold, it is also becoming clear that the days of mobile app experimentation are over, Schwarzhoff said. This year, developers expect to triple their app development and the average developer is now building for four different devices, the survey showed. Meanwhile, a dramatic increase in the integration of geo-location, social, and cloud-connectivity services underscores new focus on sustaining user engagement, while increased plans to integrate advertising and in-app purchase business models points to a new focus on longer-term financial viability over free brand affinity apps. With the Android Tablet market set to explode this year, 57 percent of developers said price will be the most important factor for success, followed by minimized fragmentation (49%) and then Android Honeycomb OS capabilities (33%). Android phone interest, at 87 percent, rose 5 points to tie iPad and close to within 5 points of iPhone, which has 92 percent. Yet Apple continues to be the number one priority with over 10 billion app sales to date. Schwarzhoff said a common refrain from developers is: “after iPhone, do I go Android or iPad?” For Apple, topping the iPad 2 wish list included: new camera capabilities, a USB connector, and an improved retina display, the survey showed. As indicated, interest in building mobile apps for connected TVs decreased across the board as Google dialed down its launch plans, TV networks blocked access to their content and developers increasingly focused on tablets. Google TV interest slumped 11 points to 33 percent, while Apple iTV dropped 10 points to 30 percent. Developer interest in other alternatives like Yahoo TV, Boxee, and Roku was also minimal, the survey showed. Meanwhile, Windows Phone 7 rose 8 points to 36 percent of developers indicating they are ‘very interested’ due to a better-than-expected launch, Schwarzhoff said. Respondents said that Windows Phone’s improved UI was a critical factor for the increase. “No one is ruling out Microsoft, at least in the enterprise,” Schwarzhoff said. He said Microsoft’s strategy of more stringent control over OEM implementations will limit fragmentation, which could become a concern for Android. Also, Microsoft’s tie-in to business apps is a plus for its platform, he said. Regarding app stores, Schwarzhoff said Amazon’s newly announced Android Appstore shows early promise. While 82 percent of developers said they are interested in distributing their apps through the Android Market, 37 percent said they are interested in the Amazon Appstore, 13 percent for Verizon VCAST, and 9 percent for GetJar. Interestingly, developers are about equally as interested in the Mac App Store, at 39 percent, as they are in Amazon’s new Android Appstore. Appcelerator said the proliferation of apps, devices, platforms, and capabilities has triggered a race among businesses large and small to define a sustainable mobile strategy. This quarter, Appcelerator and IDC introduce a new “Mobile Maturity Model” to identify three phases of mobility adoption shaping up in the enterprise and consumer markets: ‘exploration’, ‘acceleration’, and ‘innovation’. Last year, most respondents (43 percent) said they were in the ‘exploring’ phase of their mobile strategy. A simple app or two – typically on iPhone – and a focus on free or $0.99 branded apps was standard practice. This year, 55 percent of respondents said they are now shifting into the ‘acceleration’ phase. This phase is defined by the following trends and mobile strategies. For instance, on average, each respondent said they plan to develop 6.5 apps this year, up 183 percent over last year. And businesses are increasingly taking a multi-platform approach. On average, respondents said they plan to deploy apps on at least four different devices — such as iPhone, iPad, Android Phone, Android Tablet this year, up two-fold over 2010. Moreover, 87 percent of developers said their apps will connect to the cloud this year, up from 64 percent last year. Interest in commerce apps is also on the rise, with PayPal beating Apple and Google as the number one preferred method for payments. And business models are evolving to stay in lockstep with these more engaging mobile app experiences. Developers are shifting away from free brand affinity apps and becoming less reliant on $0.99 app sales. Increasingly, the focus is on user engagement models such as in-app purchasing and advertising, with mobile commerce on the horizon. And 81 percent of respondents said they “insource” their development, with the majority saying they have an integrated in-house web and mobile team. For a complete summary of the findings, visit: http://bit.ly/appcelerator_idc_q1_2011_mobile_developer_report. At this point it is becoming even more important for town centres and Cities to explore how they can build a private WAN on the platform for Bluetooth Proximity Broadcasting. This will provide a controlled and direct way to communicate with consumers on a wide range of topics and encourage them to look for specific offers once they have downloaded the cities own integrated apps. Just take a look at what it did for one town centre.